Jenny Meyerhoff writes novels for children and teenagers. Author of Class B.U.R.P., Attack of the Girlzillaz, Green Thumbs-Up!, Pumpkin Spice, Project Peep, Sweet Peas and Honeybees, Starry Skies and Fireflies, A Squirmy, Wormy Surprise, Playin Cupid, Third Grady Baby, Queen of Secrets, Sami's Sleepaway Summer, and The Barftastic Life of Louie Burger. The Next Big Thing and OMG! My New Book!!! Recently the lovely Sarah Aronson tagged me to participate in a great get-the-word-out game called The Next Big Thing. Basically it’s a blog campaign that started in Australia (not sure which brilliant Austrailian author thought of it) wherein authors with new books tag other authors with new books and share the love all around. Each author answers the same series of questions and then toots the horns of their fellow friends with pens. My next book is officially titled The Barftastic Life of Louie Burger. It had a lot of different working titles, the first one was Help! There’s a Sister in My Closet and another one was Loudmouth Louie. I like the current title best. In the book, Louie Burger is a boy with a big dream. He wants to be a famous stand-up comedian, even though he only ever performs his routine alone. In his closet. He figures that someday he’ll grow out of his stagefright, become rich and famous, and sell his autobiography. That autobiography will be called, you guessed it, The Barftastic Life of Louie Burger. Barftastic is Louie’s catch phrase. One day, my middle son came home from school in a funk. As he sat at the kitchen table, eating his after school snack and telling me about all the ridiculous rules at his school, I thought he sounded like a grade school comedian. A light went off. Bingo! What a great voice for a middle grade novel. What’s the deal with gym? 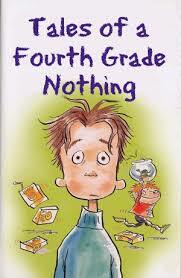 This book is a humorous middle grade novel. 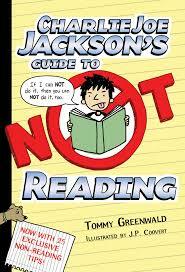 Great for ages 8-12 or anyone who love silliness. I always find this question super hard to answer. I don’t know many young actors, and in any case, they’d likely be too old by the time casting started. I typically imagine young people that I know personally, not actors. I could tell you their names, but you probably don’t know them! 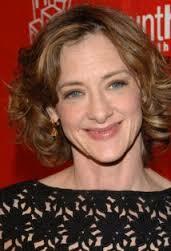 I do picture Joan Cusack, whose work I love!, as the mother. A misfit boy dreams of being a stand up comedian but is in danger of becoming the class joke instead of the class clown. 6) Who is publishing your book? The lovely, lovely people at Farrar, Straus and Giroux Books for Young Readers and Macmillan. The first draft took about six months. The revisions are another story. The Charlie Joe Jackson books have a similar vibe. I was aiming for a modern Tales of a Fourth Grade Nothing feel. The first spark of this book of this book came from my son, but I’d combine that with my huge love of comedy. Especially older comedians. I love to see through they eyes of a character who’s just discovering Buster Keaton or The Marx Brothers for the first time. Well, it contains the world’s longest word, tips for torturing your siblings, the world’s most delicious sandwich and barf. Are there any better inducements than that? Thanks for sticking around for all the answers! Check out Sarah’s post from last week, and next week look for three authors I think are super-fantastic to play the game. Jody Feldman, Kristin Tubb and Allan Woodrow! Some of you may have heard of the Pomodoro Technique. It’s a handy time management tool for breaking up seemingly endless hours of work. You work for twenty-five minutes and then take a five minute break. It’s named after those tomato-shaped kitchen timers. I tried it as soon as I first heard about it, and found it did help me stay focused and get work done everyday. Recently I stumbled across what I’ll term a Pomodoro enhancement. It’s an App called Vitamin R. I don’t know if it’s available for PC. Basically, it’s a timer in my computer, but there are a few things about it that I think supercharge my writing. First, it asks for a little summary about what I’m going to do with my “time slice” before I do it. It let’s me set my time slice to any length, but I continue to use twenty five minutes because for me it’s long enough to get stuff done, but short enough that I always feel like time passed quickly. Second, at the end of the “time slice” my screen dims and I have to stop working. I cannot type anymore. The program won’t recognize my key strokes. (I can of course override if I need to, but I find that I’m unlikely to forget over my break and then I have something immediately to start right back up with when break’s over. Third, just like taking a break is enforced, ending the break is enforced as well. The screen dims when it’s done and you have to go back to work. I’ve found I am able to write for much longer stretches like this.